The Connecticut Flower & Garden Show is proudly produced by North East Expos, owned and operated by Kristie Gonsalves. Looking for more info about the show or interested in exhibiting? You can read more about our show features or view our exhibitor information. In addition, you can also browse our exhibitor list. Click on the map below the parking info for interactive directions! 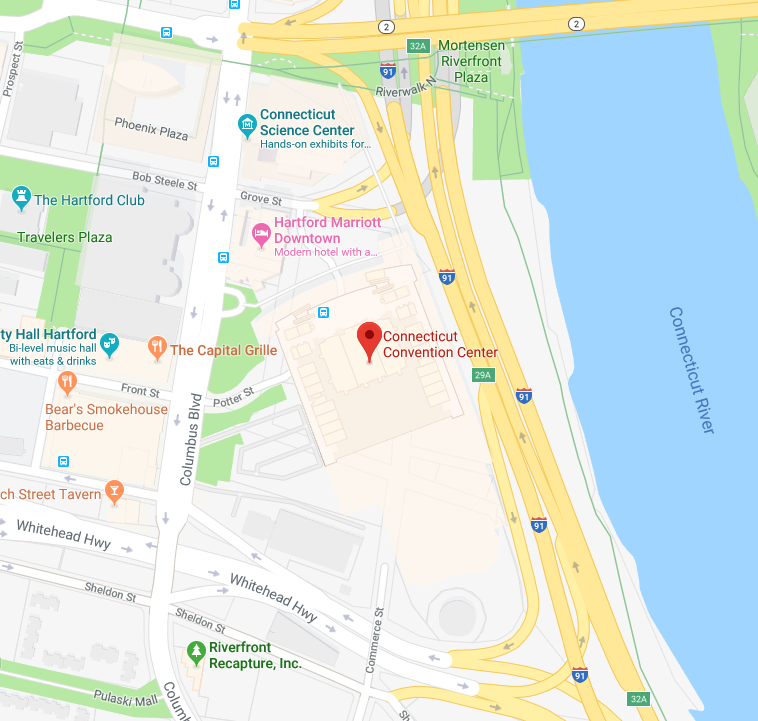 Daily parking at the Connecticut Convention Center Garage: $9.00 all day; or $3.00 first hour and $2.00 per additional hour. Free parking & free shuttle at the Pequot Street lot at 18 Pequot Street, just north of I-84. $5.00 all day parking at Front Street North and South Garages, across the street from the Connecticut Convention Center.